The cornerstones for successfully introducing novel medical products include the on-going pursuit of value-based outcomes studies, developing value-based messaging, identifying and developing thought leaders, and supporting evidence-based clinical education. 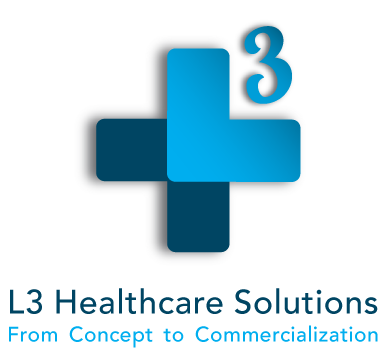 L3 works with your clinical and medical teams and advisors to help determine the best pathway towards developing the market. In addition to designing and conducting studies aimed as key objectives that strengthen the product value proposition, we help translate clinical evidence into meaningful clinical utility, which in turn become the foundation for all educational content. By establishing clear and concise clinical messaging, medical education can more quickly and effectively bridge the gap to clinical adoption. Medical education programming and events play an important role in market development, yet can be very costly, making a thoughtful and targeted approach essential for an effective use of your market development and medical education dollars. As you’ll experience with L3’s integrated approach, we have the experience and skillset to establish a keen understanding of your market and product so that we can quickly contribute to your medical education goals. We help open doors and minds to new practices that improve healthcare. We will work with you to design a medical education strategy, identify thought leaders, and provide educational resources to build your market.